From the Prime Minister's spokesperson on: unemployment figures, Afghanistan, strikes, the Eurozone. 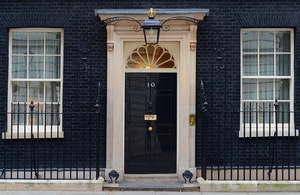 Asked whether the Prime Minister was disappointed by the unemployment figures that morning, the Prime Minister’s Spokesperson (PMS) said that clearly the figures were disappointing and they underlined the scale of the economic challenge we faced, particularly given the slow growth in Europe and North America. Asked about events in Afghanistan and the schedule for troop withdrawal, the PMS said there was absolutely no change to the policy. Asked whether the Prime Minister was disappointed by the announcement on strike ballots, the PMS said that the Government’s view was that the best way forward was to continue with talks and that we had always been very clear that we should try to have a constructive dialogue with the unions. He added that clearly it was disappointing that there had been calls for industrial action, particularly given that the talks were still ongoing. The PMS continued that, on the point on pensions, Government had been very clear about the need for reform, but we had also been making the point that even after these reforms came through, public sector pensions would still be amongst the very best available. Asked whether the Prime Minister believed it was responsible for the unions to call for strikes, the PMS responded that clearly we didn’t agree with their decision. Asked about the Deputy Prime Minister’s plans for growth and whether there was a case to bring forward any infrastructure projects or spend more on projects to get the economy going, the PMS said that the Government was going to stick to its spending plans and that you only had to look at other countries around Europe to see what happened if you didn’t stick to your fiscal plans. The PMS explained that the Deputy Prime Minister was saying that we needed to stick to those fiscal plans and maintain fiscal credibility, but equally it was important to deliver what we had said on infrastructure. Asked whether the Prime Minister agreed with the Deputy Prime Minister regarding criticism of Whitehall machinery and did he see that as a problem, the PMS said that there were certain blockages in the system and we needed to keep up the pressure to make sure we delivered our plans. He added that often these were large and complex infrastructure projects. There was quite a lot of process around those kinds of projects and that could often result in delays. Asked about the Deputy Prime Minister’s comments stating that now was not the time to ask whether we could renegotiate Britain’s relations with the EU through treaties but to complete the single markets, the PMS replied that this was Government policy. We were taking every opportunity to push for further progress on completing the single market. When asked whether there would be anything to say on Eurozone crisis talks today, the PMS said no. Put that Barroso had said it is now a fight for integration, the PMS referred to the point that the Chancellor had made that the logic of a currency union is greater fiscal integration, so if that was the point Mr Barroso was making, we would agree.